Well, time marches on and people's lives change and they choose to move on to different chapters in their lives. 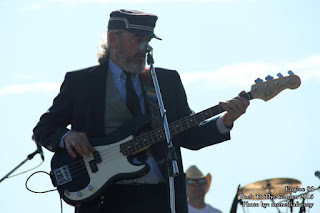 This is what is about to happen to our dear friend and bassist/vocalist/sound man/"conductor" Andy Mawdsley. Andy has bought a house in Bridgewater Nova Scotia and will be making a quick trip back to London in early March to pack up and go "home". 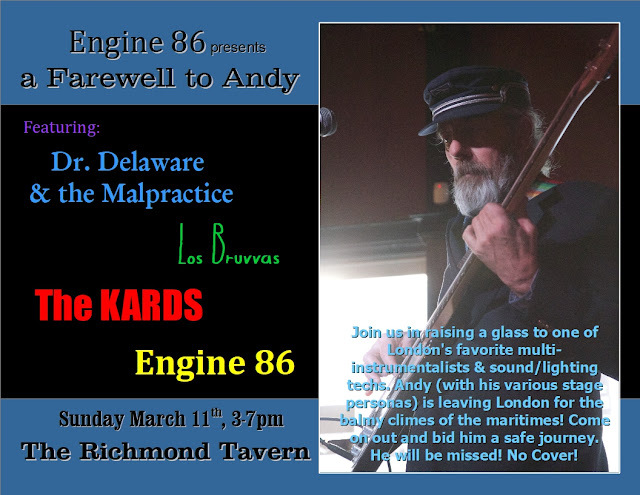 With Andy's move, this will leave Engine 86 without a core member for a while so this may be your last chance (ever) to see us, or at least until Chiefy figures out what direction to point the train in. So that's Sunday March 11th, 3pm - 7pm at the Richmond Tavern. No cover. We hope to see you there!